How the Lakers phase Gasol back into shape remains to be seen, regarding how much he practices and how many minutes he will play through eight preseason games. But the Lakers forward remains confident about one important thing. 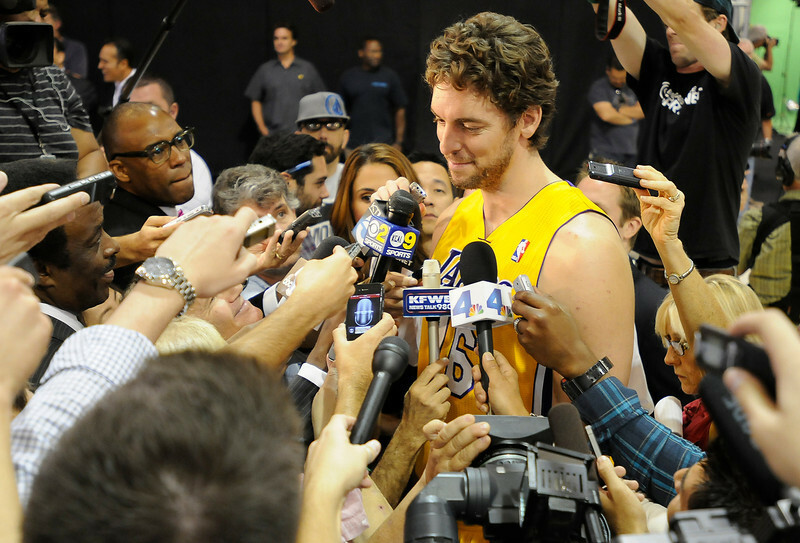 Still, there’s plenty of reasons why Gasol said he’s “excited” regarding the 2013-14 season. Dwight Howard’s departure to the Houston Rockets propels Gasol into a Lakers’ starting center spot, leaving coach Mike D’Antoni suddenly gushy about a player he demoted at times last season to the bench. That leaves Gasol with plenty of reasons to think he’ll eclipse the career-low 13.7 points on 46.6 percent shooting last season. After all, Gasol played a similar role that helped the Lakers to two NBA championships and three Finals appearances. In those instances, Gasol started at the power forward spot as a mid-range post player, while Andrew Bynum became the team’s defensive anchor. Later on in the game, Gasol played the center spot while Lamar Odom played the stretch forward position off the bench. This season, the Lakers see plenty of possibilities. Gasol could start at center in the post, while Jordan Hill starts at power forward as the team’s defensive anchor. Gasol will also play with Chris Kaman, two versatile players that can both thrive on mid-range jumpers, pick-and-rolls and post-touches. Plenty of that, of course, will depend on Gasol’s health, a variable that kept him busy for most of this offseason. This entry was posted in Lakers, Pau Gasol by Mark Medina. Bookmark the permalink.